Ah yes, another article clumsily grappling with philosophical concepts, this time in the context of none other than Ghost in the Shell. For the purpose of the main focus of this article, I’ll start with a refresher. In this film, a soul is referred to as a “ghost” and the plot is propelled forward by a myth concerning an entirely robotic being containing its own “ghost”. This ultimately brings forth questions as to what a “ghost” is and whether artificial lifeforms can possess these “ghosts”. Similarly, it also pushes forward the question of what is inherently unique to humans if robotic beings can mimic something such as a “ghost”. It is immediately apparent that this film presents the idea of dualism; the mind and body are presented as different entities. 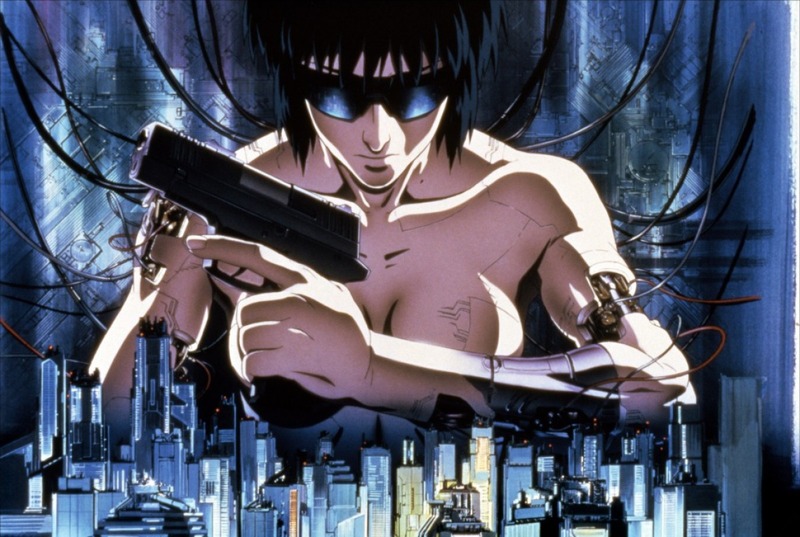 Motoko Kusanagi, the main character, and a cyborg, is able to separate from her body and travel through the net on her own accord. When plugged in, she is capable of looking into another ghost or hack into a GPS system without the aid of a physical body. In essence, Motoko’s ghost has the ability to act in such a way that controls her body but at the same time act entirely individually from it. Gilbert Ryle is well-known for his criticism of dualism, a theory presented by Rene Descartes that the mind and body are distinct, with the mind living in some non-physical plane. Ryle speaks of how a person’s mind and body influence one another – that while the mind can control various parts of the body to perform certain actions, the body has an equal potential. Ryle says, “…grimaces and smiles betray the mind’s moods and bodily castigations lead, it is hoped, to moral improvement”. Now of course, applying this unique situation of the “ghost” of a cyborg implies different circumstances. It is unknown as to whether robotic beings or even cybrogs can have what could be considered a soul. However, I will continue forth with this idea and suggest that in the world of Ghost in the Shell, mind is clearly superior over that of its counterpart. Motoko: Just as there are many parts needed to make a human a human, there’s a remarkable number of things needed to make an individual what they are. A face to distinguish yourself from others. A voice you aren’t aware of yourself. The hand you see when you awaken. The memories of childhood, the feelings for the future. That’s not all. There’s the expanse of the data net my cyber-brain can access. All of that goes into making me what l am. Giving rise to a consciousness that l call “me”. And simultaneously confining ”me” within set limits. In this monologue, she considers all of that attributes that extend beyond her mind. By the same kind of logic Descartes follows, Motoko is able to distinguish her body as an attachment to her, such as her hand and her face that differ from others. She focuses a bit more on individuality, namely the memories she alone keeps to herself which make up her ghost. By Descartes’ very own logic, Motoko exists simply because she is able to think for herself and make rational decisions. But the question I ask is whether that might not necessarily be true. Yes, Motoko is able to think and react to events around her while making logical choices. She can deduce information from her surroundings, and go as far as to question her own existence. Nevertheless, she is a cyborg created by a company and even speculates that she may be entirely synthetic with artificially generated memories. More importantly, because she is a cyborg, she is also limited to the manufacturer’s specifications. She acts for the benefit of the company and follows orders knowing very well that should she choose to retire, she must return back her cyborg shell along with any of the memories she may hold. The question then is, does Motoko exist as an individual if her thoughts and memories may not even be her own, with the knowledge that they could be programmed artificially and restrain her from thinking freely, and potentially even limiting the kinds of thought she can have. Of course, the other position to consider this conundrum is by strictly following the standard old Descartes’ “I think therefore I am” in its entirety. As long as Motoko is thinking, she exists, no matter who or what the source of these thoughts originate. The moment she decides to retire or happens to be destroyed is the moment she simply no longer exists. It shouldn’t technically matter whether they are her own thoughts or whether they were programmed into her or not. Batou: Ridiculous! You’re merely a self-preserving program! Motoko: By that argument, l submit the DNA you carry is nothing more than a self-preserving program itself. Life is like a node which is born within the flow of information. As a species of life that carries DNA as its memory system, man gains his individuality from the memories he carries. While memories may as well be the same as fantasy it is by these memories that mankind exists. When computers made it possible to externalize memory you should have considered all the implications that held. Batou: Nonsense! No matter what you say you’ve no proof that you’re a life-form! Motoko: lt is impossible to prove such a thing. Especially since modern science cannot define what life is. Batou: So, what’s it feel like when you go diving? Motoko: Didn’t you go through underwater training? Batou: l’m not talking about doing it in a damned pool. Motoko: l feel fear. Anxiety. Loneliness. Darkness. And perhaps, even hope. Batou: Hope? ln the darkness of the sea? Motoko: As l float up towards the surface l almost feel as though l could change into something else. Here we can see Heidegger’s ideas come into shape with this kind of thinking. Motoko is apparently concerned with her own existence and enjoys diving because she is able to feel emotions triggered by her sense of fear. Heidegger suggested that because we know that we will die, concern with our annihilation is an ever-present feature of human experience. 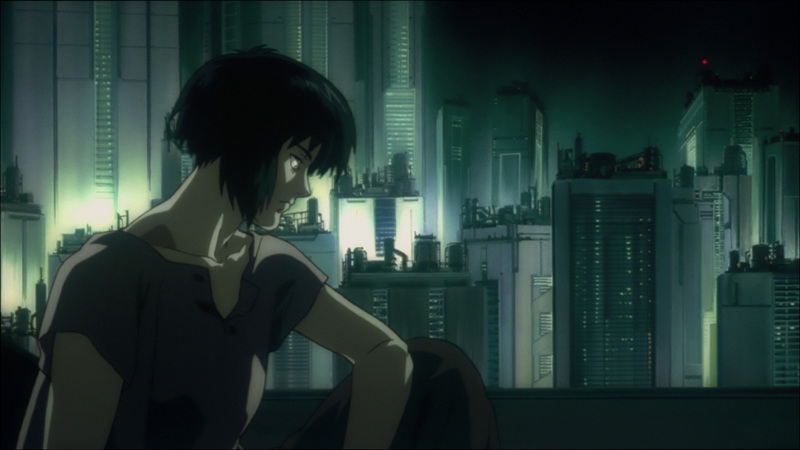 Motoko shares that concern for her life when she experiences emotions such as revolve around the idea of death. While Motoko cannot die like a normal human being, she is still concerned with existing in her present condition, as a ghost in a shell. She yearns to continue existing rather than yield to any sort of disassembly, which are feeling common to every human being. With the concern about her life and the sensations she feels when faced with the potential for death, it seems that “death is the key to life” is a valid statement to make. However, the one aspect of Motoko that is different from the ideas presented by Heidegger is the importance of the question “Why are we here at all?” Clearly, Motoko has a purpose that was created the moment she was created. While she seemingly has the free will of thought and decision, it is only given to her when she fulfills her purpose in the company. She aids in fighting criminal hackers around the nation, but the moment she decides to give up fulfilling such a task she will be terminated. This also leads me full circle to the idea that our lives are shaped by death. 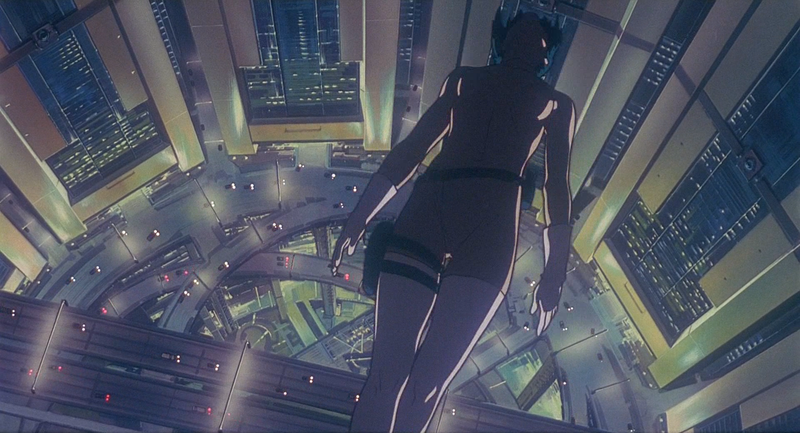 Because Motoko is aware of the circumstances that would cause her death, she acts accordingly so that she can live. I think that in the end, whether it is an artificial intelligence, or a human being, one looks for ways to continue existing out of concern for the unknown, the darkness and nothingness that is death. I think that this will continue to be the state of mind for any being that has the ability to think – it is the inevitability and the curse of having such a capacity for thought. In one form or another, we all seem to contemplate our own existence, left with an eternal sense of wonder and fear concerning the unknown. I might have missed the subtlety of Kusanagi being manufactured in this storyline, or maybe I was subconsciously influenced by her backstory from StandAlone Complex (where she is actually human). This definitely changes my interpretation of her motivation and actions then. If I recall correctly, in Stand Alone Complex, she is what she was in the first movie, and, in some of the episodes, we get a look into her past as to how she got that way, we see how she was as a child. But she is still a human, just with a lot of robotic parts, as she was in the first movie. I think you’re right. Now that I think about it, the entire opening sequence of the film showed her body being manufactured. And in this case, it won’t matter whether she is a robot made by someone else or a human brain in a body manufactured by the someone else–her body is not “hers”, and as the author here states, that profoundly influences her thoughts and actions. I have watched Ghost in the shell over and over again. Specially the movies. The sound track seems so surreal. The story reminds me of Wasteland by T.S. Elliot. It is really amazing to see how humans can come so close to redefining life and the human existence. Although the Creator Almighty Himself sent knowledge for humans so that they can learn about themselves and their destinations, people tend to completely deny it. When there is nothing to get an understanding of human life from, just by thinking philosophically humans can come so close to the real knowledge!!! This is really amazing. The ability of think and decide for themselves is an ability which makes humans standout from the rest of the creations. Awesome article! Makes me want o watch the movie again… for like the 20th time!!! Thanks again!! !